So many of my Mommy Mondays posts have been focused on Paisley! As the newest member of the Hilosky Family, she deserves a lot of attention. However, there are two other very important little girls who need some extra love right now! 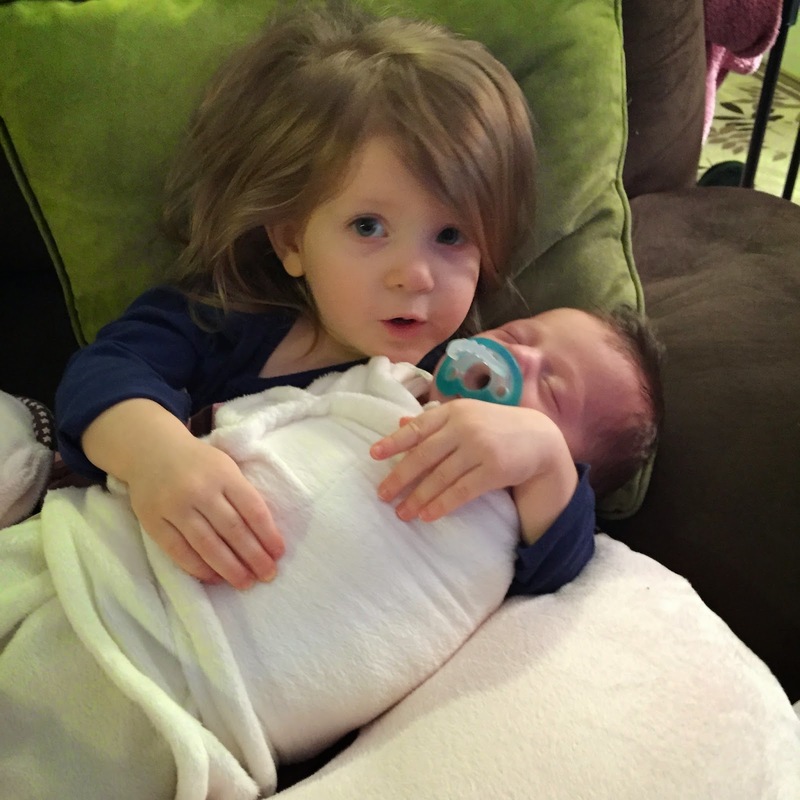 So I thought that I should post an update about Lacie and Blakely! 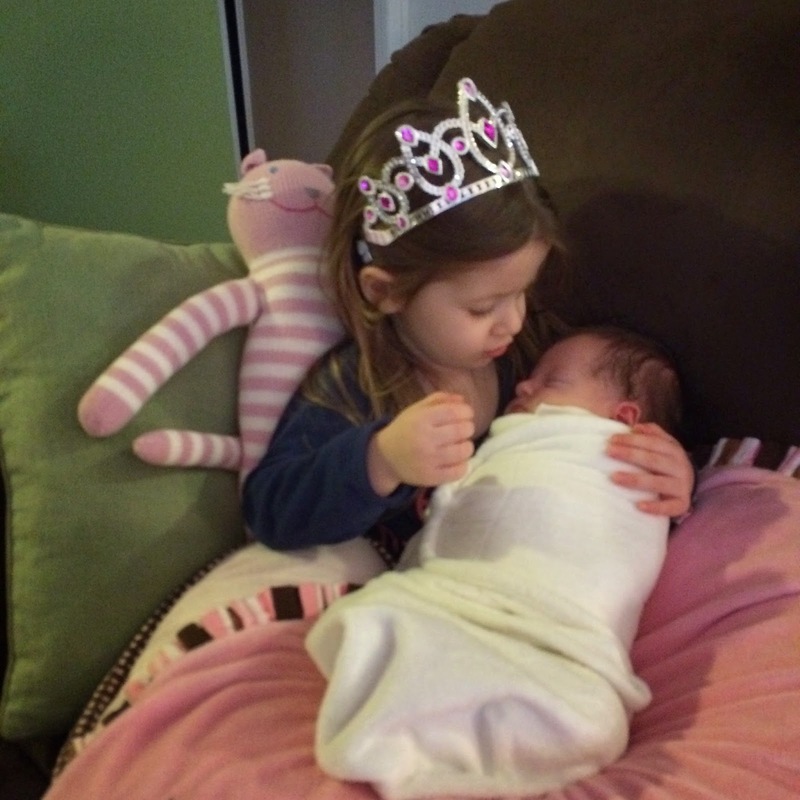 If you read some of my pregnancy posts, like this one, you will remember that Lacie was so so so excited about becoming a big sister for the second time. When I was pregnant with Blakely, she was so young that she had no idea what was going on. This time, she really understood what was happening. She loved watching my belly get big and talking to the baby. All along she said the baby was a girl, and she was right! 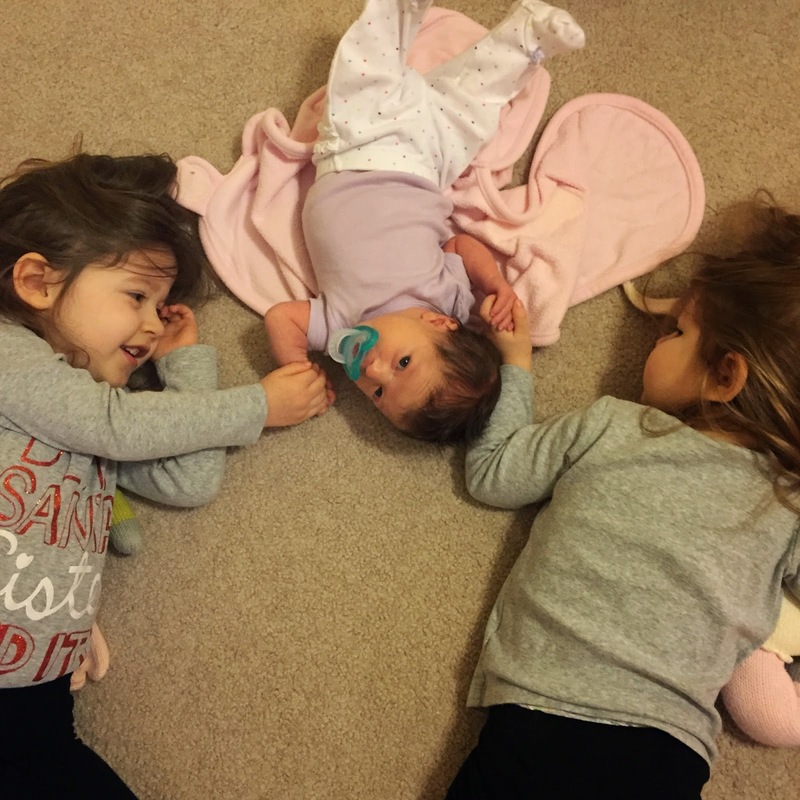 Lacie has been nothing short of a spectacular and nurturing big sister from pregnancy through Paisley's first month at home! 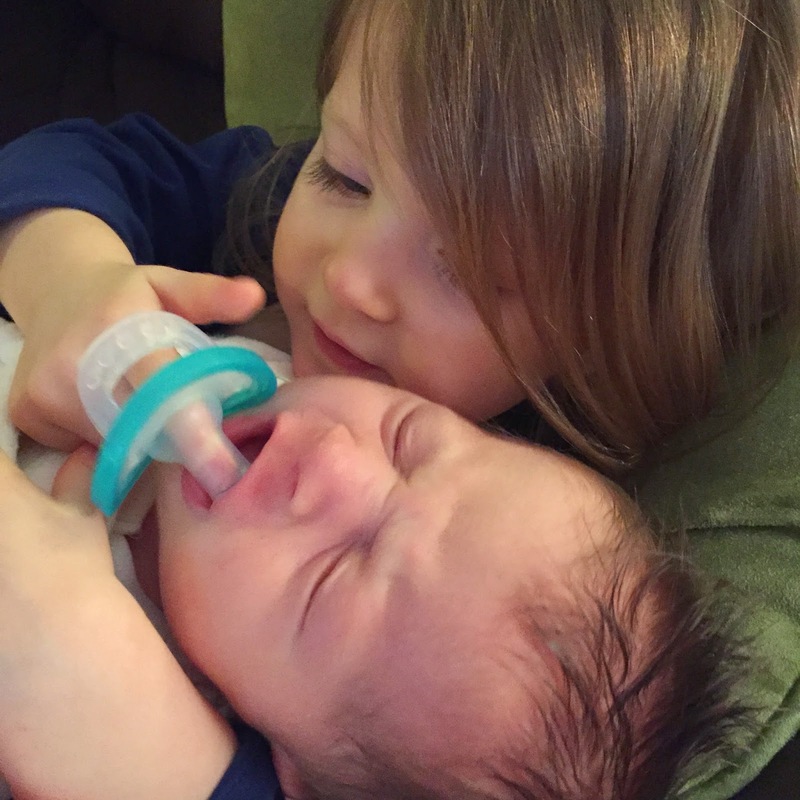 She is always on paci duty - and runs to put it back in Paisley's mouth if it falls out. She loves to help bounce Paisley in her bouncy seat and will cover her up with a blanket. She is also a great helper, bringing me diapers and turning on all of the musical toys. 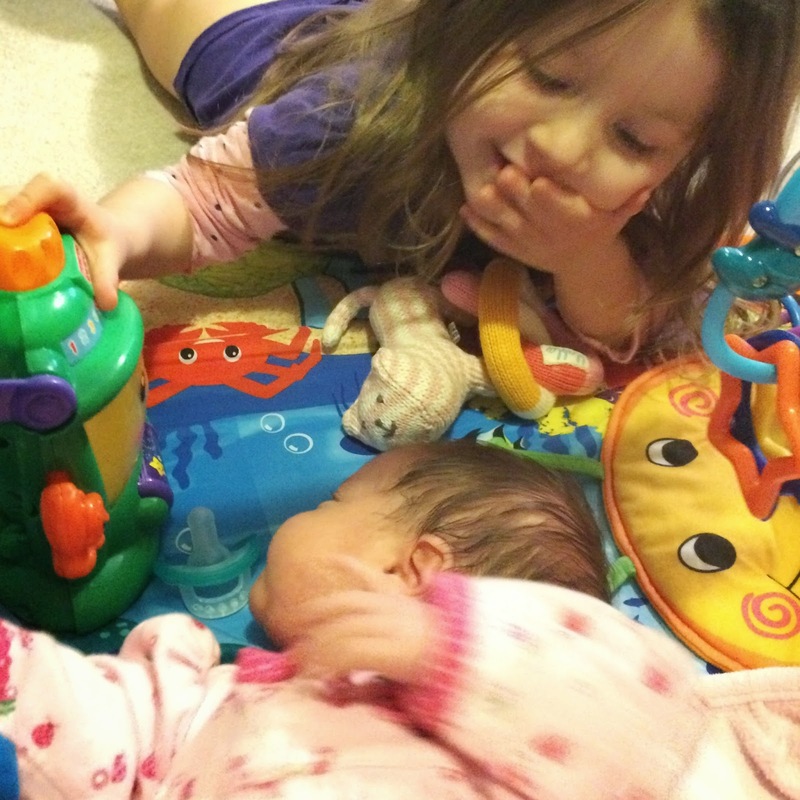 Lacie is full of endless kisses and snuggles for her littlest sister. Blakely definitely had a harder time adjusting to my pregnancy. Blakely is exceptionally smart for her age, which I mostly attribute to the fact that she has a big sister only 15 months older than her. She thinks of herself and Lacie as twins, and tries so hard to keep up with her. Blakely reached developmental milestones way earlier than Lacie did. So I knew she understood that Mommy had a baby in her belly, and she would kiss my belly right along with Lacie and talk a lot about her new sister. But along with the happiness there were also a lot of tantrums for attention (something that normally happens with two year olds and I think the pregnancy just added to it). Despite the "terrible twos" I have been pleasantly surprised to how easily Blakely welcomed Paisley when I came home from the hospital. There are still those tantrums for attention, and she is testing my patience at every turn. 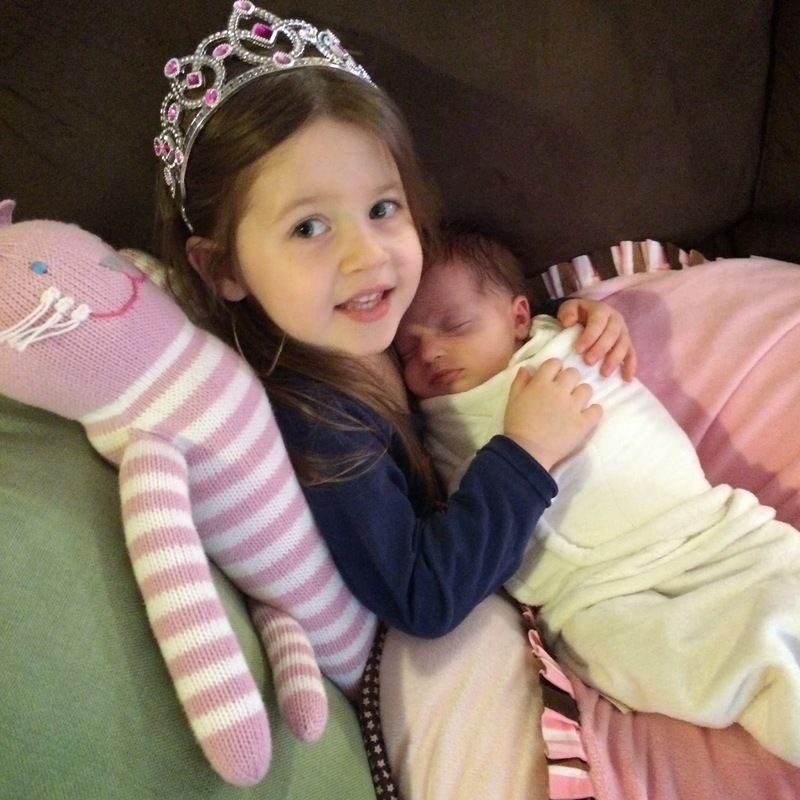 However, Blakely has been nothing but sweet and loving towards Paisley. She wants to play with her, and is always bringing her "Paisley Toys" like rattles and Sophie the Giraffe. She also loves to put the pacifier back in Paisley's mouth if it falls out, running to get to it before Lacie. If she hears Paisley fussing, she is the first to say, "Don't cry Paisley." I couldn't be prouder of the amazing Big Sisters that Lacie and Blakely have become over the past five weeks!! !